Prior exploration on this permit by ENI found three gas fields in the Porto Corsini reservoir. 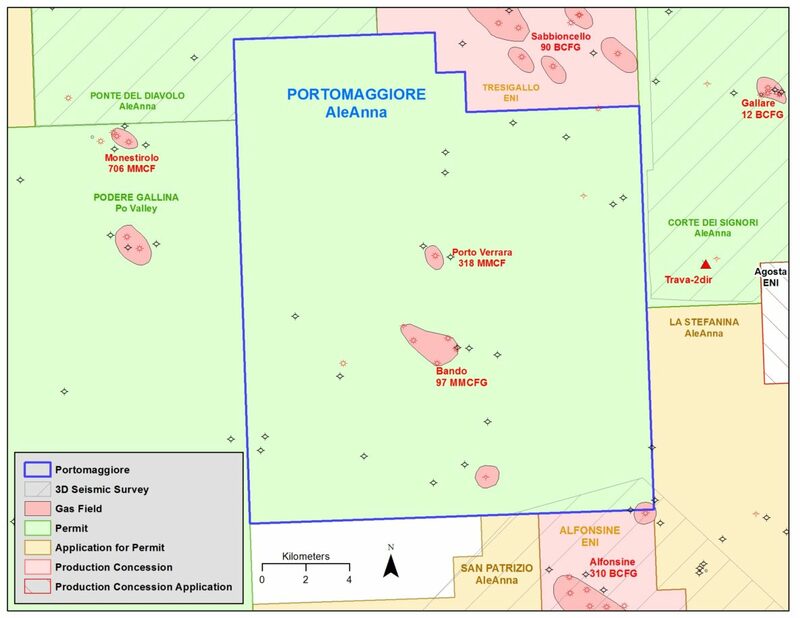 700 km of 2D seismic lines were purchased from ENI & reprocessed, resulting in 4 leads (3 Pleistocene, 1 Miocene). A drilling application was filed for the Malerbina prospect which is scheduled to drill in 2019.